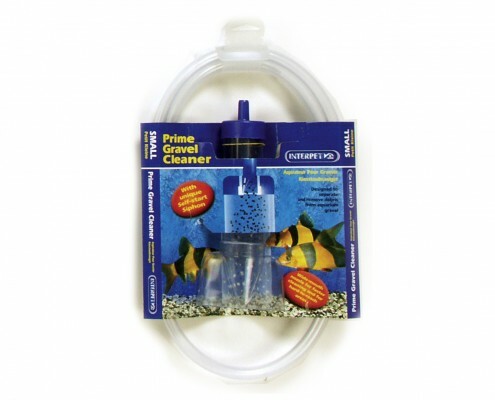 Use for: Removing water and cleaning gravel debris during a water change. Gravel Cleaners are a great tool for water changes as they remove water efficiently and will pick up waste built up in the aquarium's gravel. Connect the hose to the cylinder cap ensuring a snug and secure fit. You can warm the end of the hose under the hot tap for a few seconds to make the hose more malleable and therefore easier to fit. 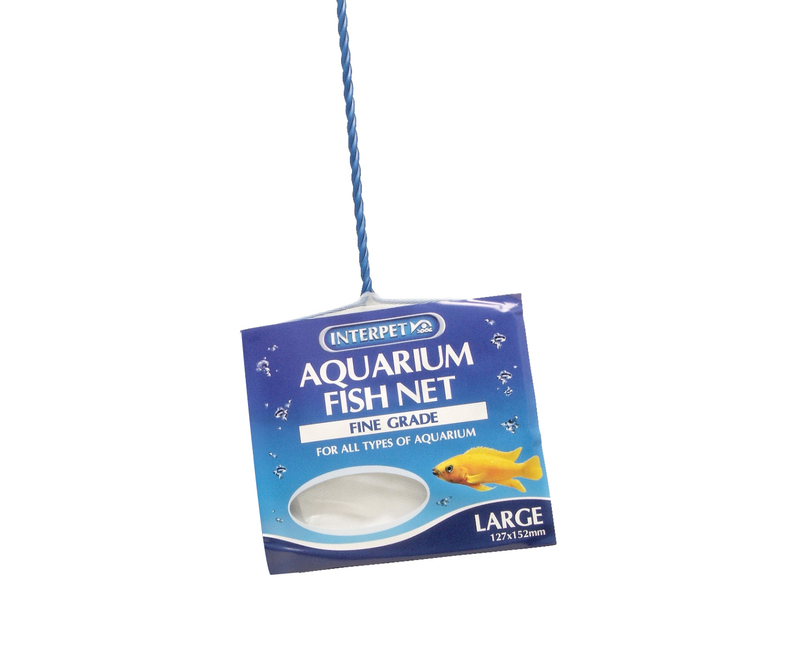 Place an empty bucket near and below aquarium. 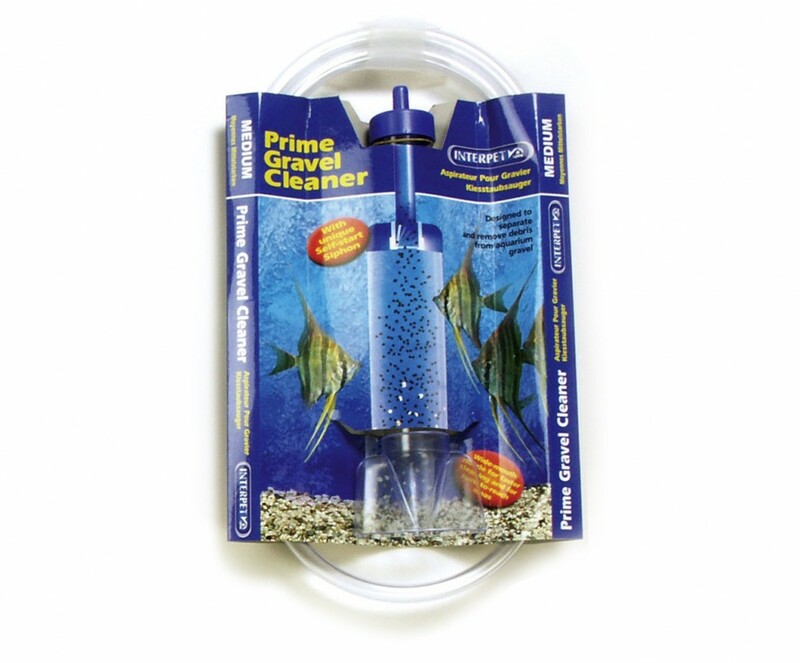 Grasp the hose 10 to 20cm above the top of the Prime Gravel Cleaner with your hand on top. Place the other end of the hose in the bucket. 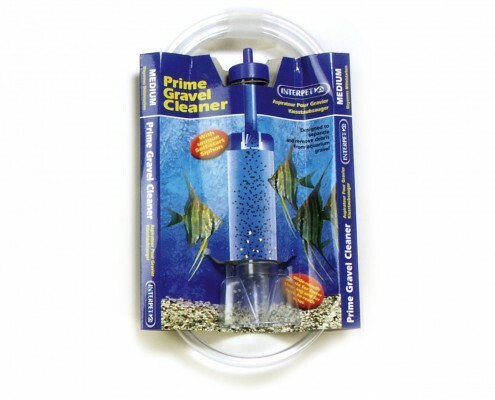 Completely submerge the cylinder and cap in aquarium water. Keeping the loop of the hose as low as possible, move the cylinder up and down rapidly five or six times or until siphoning begins. 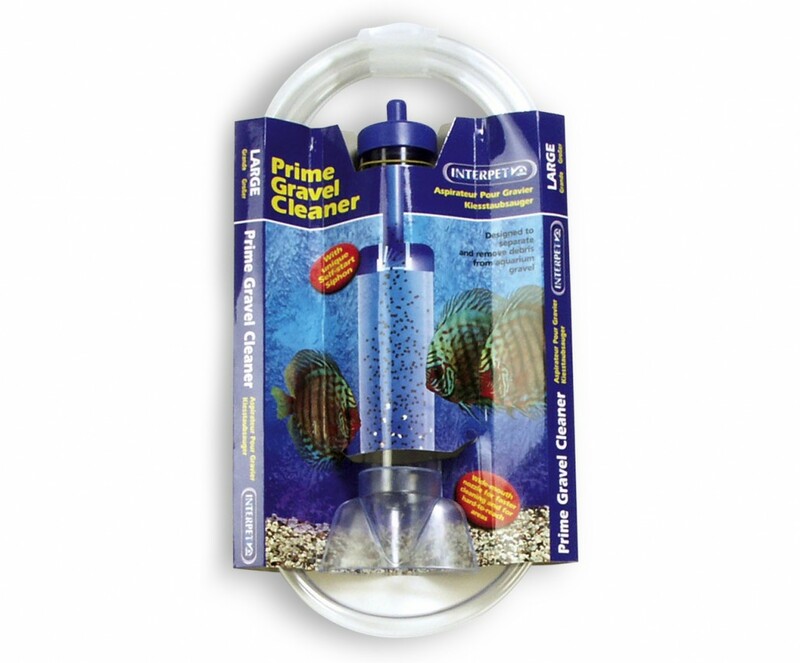 Push the cylinder into the gravel to remove waste. Some gravel will rise slightly in the cylinder as debris is removed, but will fall down as the cylinder is lifted. Work your way through the gravel until your required amount of water has been removed. 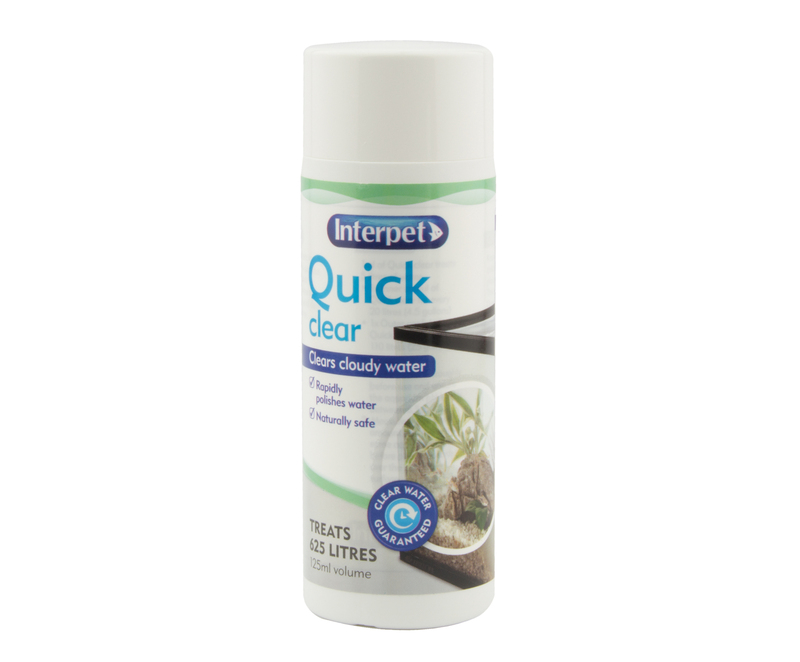 We would recommend using a gravel cleaner once a month whilst removing 25% of the aquarium water. 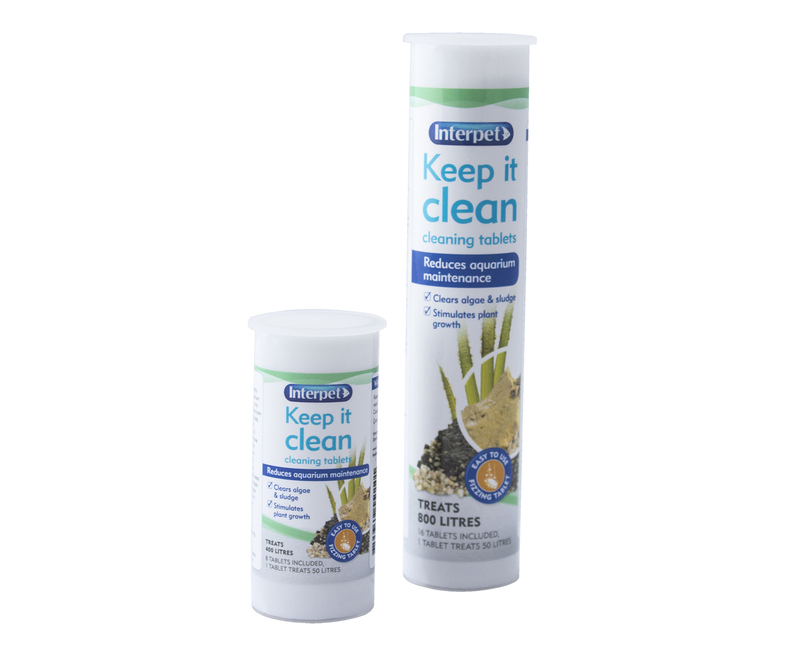 It is important to keep an eye on the water level when using a gravel cleaner to ensure you don't remove too much water. If you can't get through all of the gravel in this time, you can focus on the parts you missed during the next water change.